So another school holiday is fast approaching. Kids across the UK are itching for freedom from uniforms, lessons and early morning alarms. However, after the initial joy at their freedom, the cries of ‘I’m bored’ inevitably start. 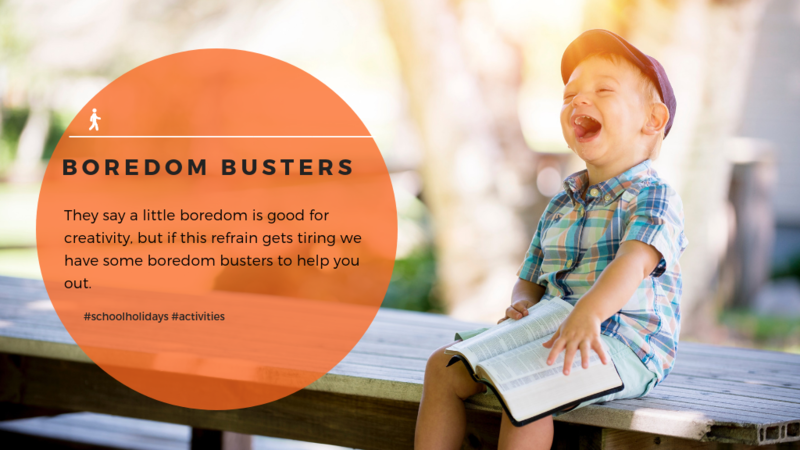 They say a little boredom is good for creativity, but if this refrain gets tiring we have some boredom busters to help you out. Clearly having a pet comes in handy here. However, if you don’t have a pet to draw then perhaps they can create a family portrait or draw the pet they wish they had! Encourage them to add as much detail as possible and this should keep them entertained for a good while. This one might be better suited to older children who don’t need as much supervision in the kitchen. There’s no need to limit this to cookies either. Let them get creative with any manner of sweet bakes. Being comfortable in the kitchen is a great life skill for later in life, and it will keep them busy for the afternoon too. Make sure they leave the kitchen as clean as they found it before they tuck into their bakes. 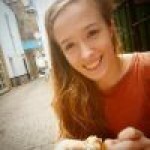 There are all manner of apps and online course to choose from, so learning a language is easy to do from the comfort of the sofa. Suitable for a wide range of ages, the game-like nature of some apps will help keep them entertained. Even better, it’s educational too. Let their imaginations run wild as they create a superhero universe of their own. Or perhaps they want to chronical the adventures of the neighbourhood cat? Whatever the subject matter this absorbing task should keep them entertained for an afternoon at least. Encourage your children to learn about something that interests them. There is so much to learn that they might not get to explore in school, from stars to plants. Let them choose a topic to explore and they can explain their findings to someone else in the family. There’s a special kind of joy in getting lost in a brilliant book. Reading more has been proven to improve children’s writing skills too. There’s a lot to gain from reading so encourage them to pick out a book and challenge them to finish it in a week. So maybe letting your youngster lose with a pot of paint isn’t such a good idea. However, they could choose to rearrange how they store their belongings or put up some different posters on the wall. It will give their space a new feeling and could easily keep them entertained for a day. There is a whole wide world of poetry out; from rhyming couplets to haikus. It’s a great creative outlet and a good chance to practice writing skills too. They could even draw a picture to accompany their poem too. For the creatives and budding scientists, this is a chance for them to dream big. Their invention could be as wacky and farfetched as they like. Whether they just draw it or create an instruction manual to go with it, this should keep them busy for a while. Endless entertainment on a blustery day. This might seem like another slightly old-fashioned option, but it still offers a joyful afternoon out in the fresh air. There is great satisfaction in achieving lift off, just be sure to stay away from trees and other obstacles! Not really a solo activity, but this could be a great activity for siblings to do together. Or, get the whole family involved for some screen-free time together. Don’t just limit yourselves to games with boards either, charades can be great fun with bigger groups. A great way to give back to the community and probably one to do as a whole family. There are loads of different organisations that would love a helping hand. If you can’t commit regularly, Parkrun operates across the UK and welcomes volunteers to help out for just an hour or two on Saturdays. You don’t even have to go every week. It’s a great way to get out in the fresh air too. Do you have any friends or relatives in far-flung places? Or even just a gran down the road who would love a letter from the grandkids? It might seem like a strange thing to do for kids who have grown up with so much technology, but it can be a lovely thing to do. The more pieces the better. Find a place out of the way to get started it could easily eat up a few days. Jigsaws are great for catering to a range of ages and abilities. They are a good challenge for a rainy holiday. Another option that may be more suited to older kids who are more independent. It’s a win-win situation as it will keep them occupied and you won’t have to cook dinner either! It’s a great life skill to be able to rustle up even a simple meal, so practising in the holidays is a great way to start. Depending on the age and writing skills of the child in question, this activity could easily take far more than an afternoon. Younger kids might want to use illustrations, and encourage older children to bust out their creative writing skills. The possibilities are endless with a short story; it could be an account of a family day out or set in a far-flung universe. This option, probably won’t be too attractive but it might stop the complaining! Meet complaints of boredom with stacks of laundry that need folding or a hoover; they might suddenly find they aren’t so bored and more chores might get done too.